Paramedics are spending the equivalent of a month’s worth of time each year helping London area seniors who have fallen and are unable to get back up on their own, according to a Western University study. Fourth-year undergraduate Health studies students, led by Western gerontologist Aleksandra Zecevic, found paramedics were called 1,121 times to lift an elderly patient from the floor in 2015. Roughly 200 people called paramedics for lift assistance several times throughout the year, including four individuals who needed help on 16 to 20 different occasions over the 12 month period. The so-called “lift assists” ate up 801 hours of paramedic time — the equivalent of more than 33 days. “It’s an emerging problem that we need to address in North America as baby-boomers age,” said Zecevic, an associate professor at Western’s School of Health Studies. The study, published in the journal Prehospital Emergency Care, only looked at cases in which the patient needed help getting up and did not require hospitalization. 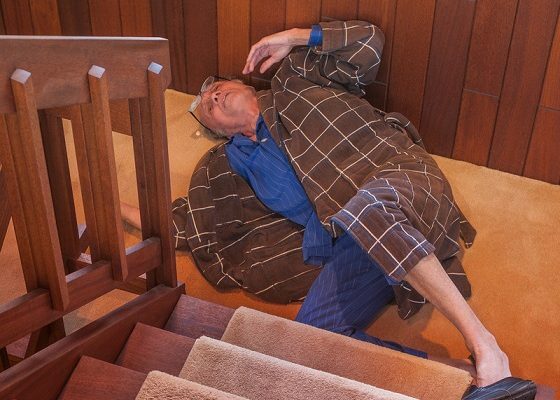 Its authors indicated a need for better protocols to help fall-prone seniors and to prioritize emergency resources, with the majority of patients they interviewed stating they called paramedics because no other resource was available. “Some of these people would say, ‘I don’t have anybody else to call, so I have to call you and wait on the floor until you arrive,’” said Dustin Carter, superintendent of community paramedicine with the Middlesex-London Paramedic Service. The calls for assistance getting up didn’t just come from seniors who live alone, but from home-care staff and long-term-care facilities with do-not-lift policies. Lift assist calls are not a timely, cost-effective or medically appropriate use of paramedics’ expertise, according to the study. As a way to help curb the demand for lift assists, the study’s authors recommend early referrals by paramedics for fall-prone people, stronger collaborations with home-care, retirement care and long-term care organizations, and lift assist management and education programs in retirement communities.